Silks is a unique form of suspension training that elevates the challenge of body weight workouts. 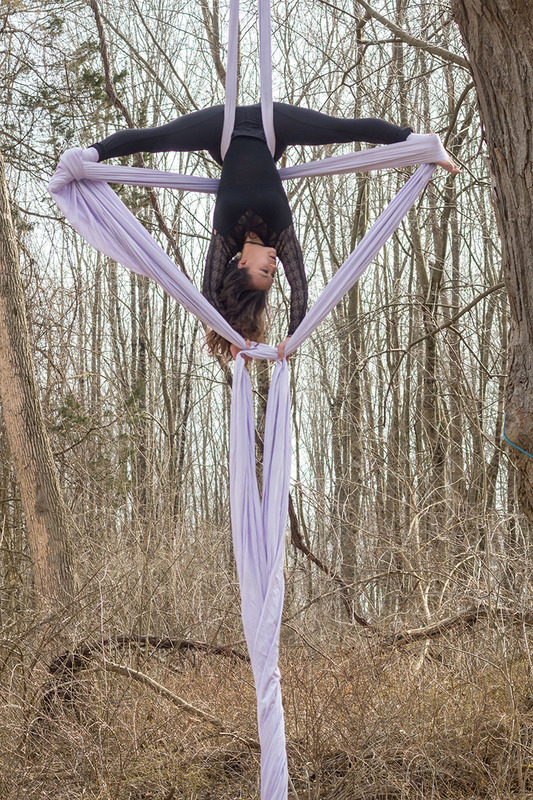 Also referred to as “aerial fabric” or “aerial tissue”, aerial silks allows for a full body workout as well as decompression of the spine and increased body awareness. It combines strength, flexibility, balance, coordination, dance, finesse, and adrenaline. And it’s an instant addiction! 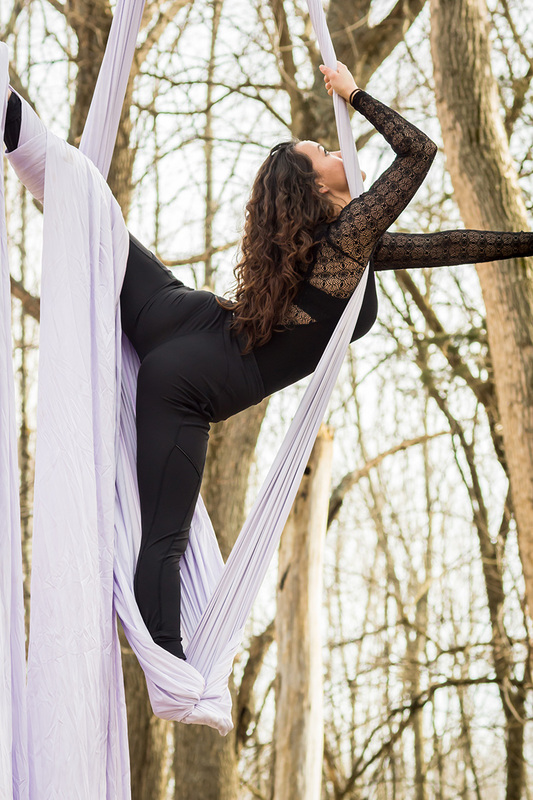 In this introductory course you will get to go upside down, decompress your spine, climb, and run through a full-body series of stretches while sampling a series of both hammock and open silks moves. This class is great for beginners, no experience required. My name is Sae and I love aerial silks! I have been exploring a variety of aerial apparatuses for six years and the silks has become my passion. The grace and delicacy of the fabric in combination with the strength required to execute the movements always blew my mind when I would watch others dance in their silks in the air. My first introduction to aerial silks was through aerial hammock classes. “Hammock” or “sling” is when the fabric is hung by the two ends of the fabric, creating a hammock or swing at the bottom that supports your bodyweight. The studio I took these classes at had a very low ceiling height but I had a craving to try out the acrobatic form of silks (this is when the fabric is hung by the middle and the dancer must use strength and technique to remain in the air), so I decided to invest in professional training. I bought my own silks and I started training in New York City with some of the best aerialists in the world and have continued ever since!